A long time ago my dad and I sat down at the computer and printed off a list. He probably doesn't even remember it's contents, but I do. In fact the list hung on my bulletin board from about 4th grade through college; and while it may not currently be a piece of my decor, it's purpose is definitely still a piece of me. So, what was this list you ask? Well, it was a list of the locations of all the manned spacecraft produced by NASA and flown by it's astronauts. So, why did we print the list? We decided to make it our goal to see every single one. And little by little we/I have seen 9 capsules, a launch of Endeavor and a landing of Discovery. I decided this week's Friday Top Five would be based on this goal, specifically, Nerdy April's recommendations for the best aviation/space museums (besides the Smithsonian, because, well, I haven't been there yet!). My favorite part of this museum was the layout. First, you are greeted out front by an SR-71 and then led through the history of aviation and space "in-the-round". I love these types of layouts as they really let you focus on each era of aviation, the specific technology advancements, and the caliber of people that designed the aircraft. 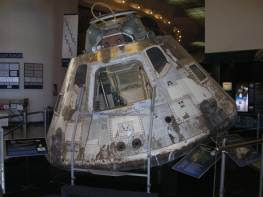 Some notable pieces include: the Apollo 9 command module, an X-15, and a special display about women in aviation, including a Jackie Cochran collection. I was pretty young the first time I visited Houston, and the second time was about 10 years ago (other than the airport). I don't know for sure, but I think the exhibits and history at SCH were the spark that ignited my love for all things space. The last time I went my Uncle Howard who works there took me around; and I got to do some things the "regular" people don't get to do. For example I not only walked the floors of Building 9 (a "hallowed" building full of simulators and astronauts), but I was lucky enough to actually step foot in one of NASA's Space Shuttle 90-degree simulators!! He also took me to the old mission control, which has been restored back to what it looked like for the Apollo 11 moon landing; and of course I sat in the flight director's seat!! 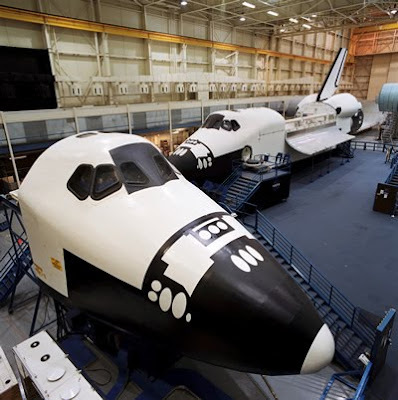 In general, the museum provides a great overview of NASA's manned spaceflight adventures and since this is where the astronauts train, it is likely that you might actually run into one! Capsules include: Gordon Cooper's Mercury 9 "Faith 7", Pete Conrad's and Gordon Cooper's Gemini V, and Cernan, Evans and Schmitt's Apollo 17 command module. Of course you knew this one was coming. How could I live in the rocket city and not be proud of our great space museum. My favorite part of this museum is the newly added "Davidson Center for Space Exploration." It is a tribute to the great Saturn V, complete with a historic Saturn V inside and a full-scale model outside. The only downside to this museum is the amount of children, since it is home to the U.S. Space Camp, but you probably new that because I worked there (that's when I met the BF, duh!). Exhibits include the Saturn V (of course), the Apollo 16 Command module, and a full shuttle "stack" on its side. You might be surprised that this is not my #1 choice. The reason for that is it's "tourist" mentality. The great Kennedy Space Center, America's spaceport is veerrrryyyy tourist-y. Don't get me wrong, it is still #2 on my list, but not for the museum. If you are planning a trip to the space coast, I recommend taking some of the "excursions" to the old launch pads and hangars; there is so much history there. Now when I am reading about some astronauts planning out pranks from Hangar F, I know what they are talking about; or when they race their corvettes on the beach in front of the launch pads. I would like to go back and spend some time at the Apollo 1 launch pad (or what remains of it) and the rest of the historical pads. 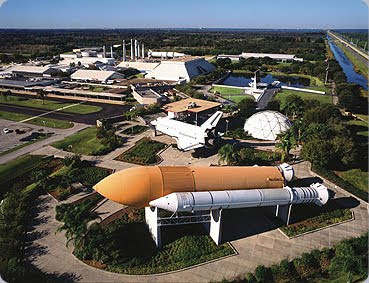 Exhibits include: several capsules, the Vertical Assembly Building and the current space shuttle launch pads. You are probably asking yourself, "Where in the heck is Hutchinson, Kansas? And why does Nerdy April like this random place so much?" Well, I will tell you! The Kansas Cosmosphere is a diamond in the rough. It is off the beaten path, which makes the museum-going experience much more pleasant. And the exhibits are extremely well planned out and put together. The museum includes exhibits about the German rocket/missile systems all the way to current space artifacts. In fact, the collection is second only to the Smithsonian, and includes more Russian space artifacts than any U.S. museum. I only spent 1 day there, but could easily have spent more!! All of the exhibits there are incredible, but some of the most notable include: a flown Russian Vostok spacecraft, the sunken "Liberty Bell 7" flown by Gus Grissom, Gemini 10, and the Apollo 13 command module (like the movie, except the real thing). I highly suggest you check out this museum...and take me with you when you do!! I dedicate this blog-post to my mom and sister who endured all of the many space museum trips. You guys are awesome! 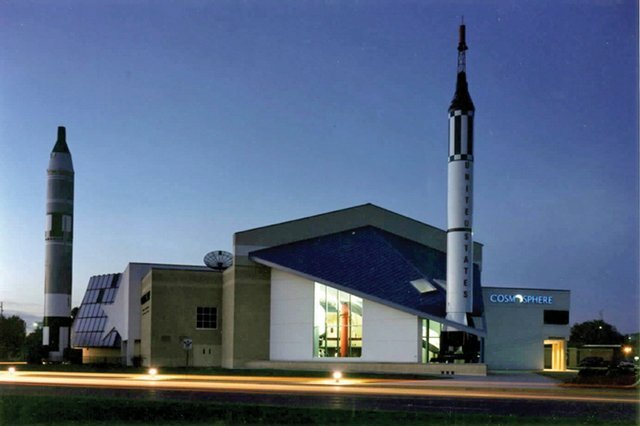 The Cosmoshere museum is the only museum so far to have a Saturn V, top of the escape tower, guidance eight ball on display. This eight ball apperatus guides the mighty Saturn V through roughly the first 30 to 45 seconds of flight. Other museum's guides I have asked give me the deer in the headlight look. Hutchinson is the only one. Dad. The apparatus mentioned is a "Q Ball", not an 8 ball. Never heard of the operation of the escape tower 'till I researched it today. Wow, what a device that (like everything else then) was operated without IC chip technology! Thanks for the heads up. Gary in Oregon. I like Hutchinson the best, manly becuase it has been like the only one that I can remember. Plus it was fun, going there on the way to Iowa, doesn't get any better than that. As I was reading the intro to this post, I was hoping that the Cosmosphere would make the list. I'm delighted that it made #1; that place is amazing. Nerdy question: Does your master list include the X-15 that exceeded 100km altitude? Well "Joe", its ironic you mention that. I am starting to think you are the reincarnation of Joseph Albert Walker...aka..."Joe". And to answer your question, no neither the Smithsonian nor Wright-Patterson are on my list since I have not visited those yet!! But I sure do want to! Well since posting that comment I've learned that the X-15 that Walker flew above 100 km was later destroyed in an accident, so neither of those that are on display (both of which I've seen :-P ) ever flew high enough to meet the FAI standard for spaceflight. And now that you've tried to start the rumor that I'm Joe Walker reincarnated, I guess I should identify myself. 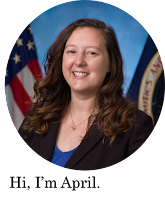 I'm just a nerd who overheard some Army personnel (presumably your colleagues) talking about your blog in my office at L-3 in Lexington, and I've never flown higher than 2 km (as a pilot, anyway).